North America is enjoying a greater wealth of energy resources, with new technology making it easier to extract natural gas from dense shale rock formations. This increase in supply has caused gas prices to plummet in the United States compared to Asia. With Asia struggling to meet its growing energy demand, countries such as China, South Korea, and Japan are looking toward North America to help diversify their energy imports. Many in the United States and Canada are interested in fulfilling Asia’s need for gas in order to help diversify trade and boost the economy. Others fear that liquefied natural gas (LNG) exports will hurt North America’s energy security and that LNG exports may raise domestic gas prices. The National Bureau of Asian Research recently spoke with James Slutz, President and Managing Director of Global Energy Strategies LLC, to better understand this debate and the implications for U.S. energy and foreign policy. Natural gas exporters must obtain an authorization from the U.S. Department of Energy (DOE). For exports to countries with a free trade agreement (FTA) with the United States, the authorization is by statute considered to be in the “public interest” and is granted once all the regulatory process steps are completed. For countries with which the United States does not have an FTA, such as Japan, a more detailed process, including a review of whether the export is in the “public interest,” must be completed. Lynann Butkiewicz is a Project Manager for Trade, Economic, and Energy Affairs at The National Bureau of Asian Research (NBR), where this interview originally appeared. 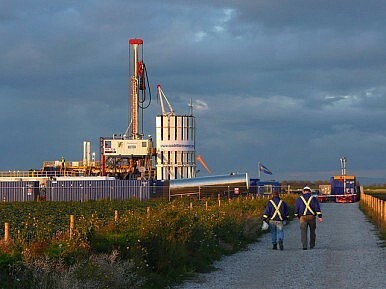 China is believed to hold the world’s largest reserves of shale gas. Making it viable will be the challenge. Amid Ukraine Crisis, Russia Pursues Energy Deals With AsiaGetting Canadian Gas to Asian Markets U.S. Shale Gas Revolution Hits AsiaA Global Energy Shift Bangladesh: Asia's New Energy Superpower?